When you travel to a new place with someone, you really get to know them. Sharing transportation, a hotel room and expectations for the trip creates a bonding that is unique and long-lasting. Many of us have experienced trips gone wrong, and that is the worst! But when you find a travel buddy that is compatible on many levels, it is so great! That is the kind of relationship that I share with Artist, Sarah Ellen Smith, Co-owner of St. Lawrence Pottery located in Clayton, NY. (https://www.facebook.com/St-Lawrence-Pottery-398306230183525/timeline/) and (http://www.stlawrencepottery.com) We like the same kinds of things…art, authentic food and beer and more art! We both are multidisciplinary with our professional practices, and have interests in many kinds of art forms, in addition to the shared appreciation for anything that is created with care, love and technical expertise. On every trip, we bring our cameras, our journals and our sense of humor. 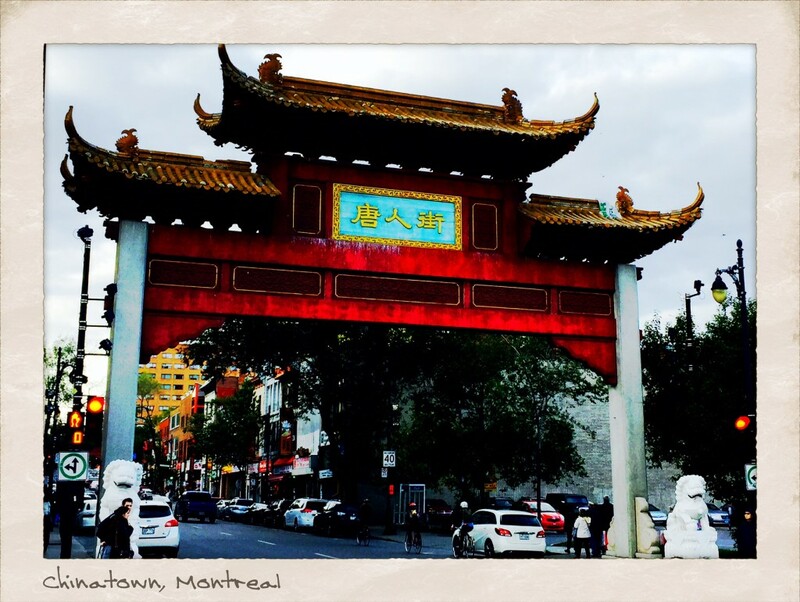 Recently, Sarah and I went to Montreal, Canada. It was my first time in this city, and it was an enchanting encounter. We had the good fortune to skirt a damp and drizzly nor’easter to the south, and experienced rich blue skies, clear bright nights and crisp autumn breezes. We walked until our toes screamed for solace. 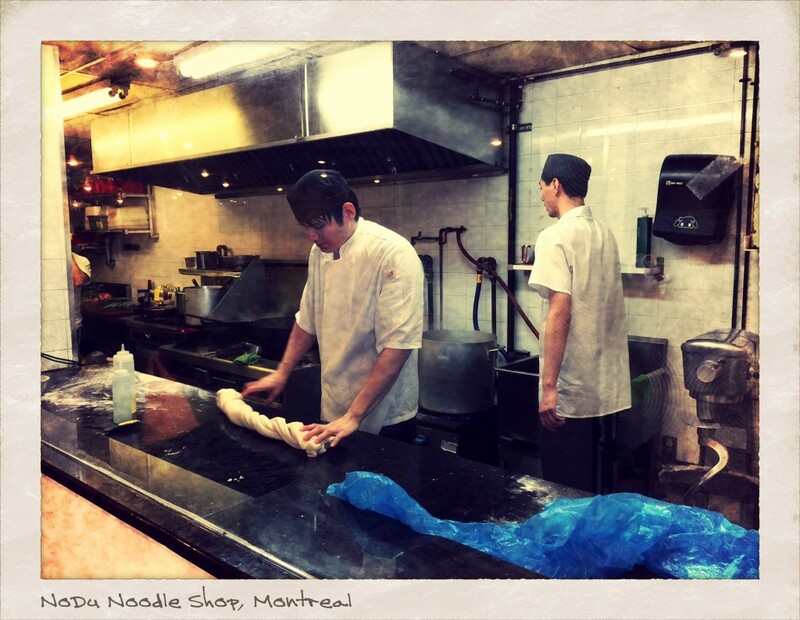 Then we parked our bodies in cozy, yet simple restaurants, like the NoDu Noodle Shop in Chinatown. There, we slurped some of the most amazing soup I have ever tasted. 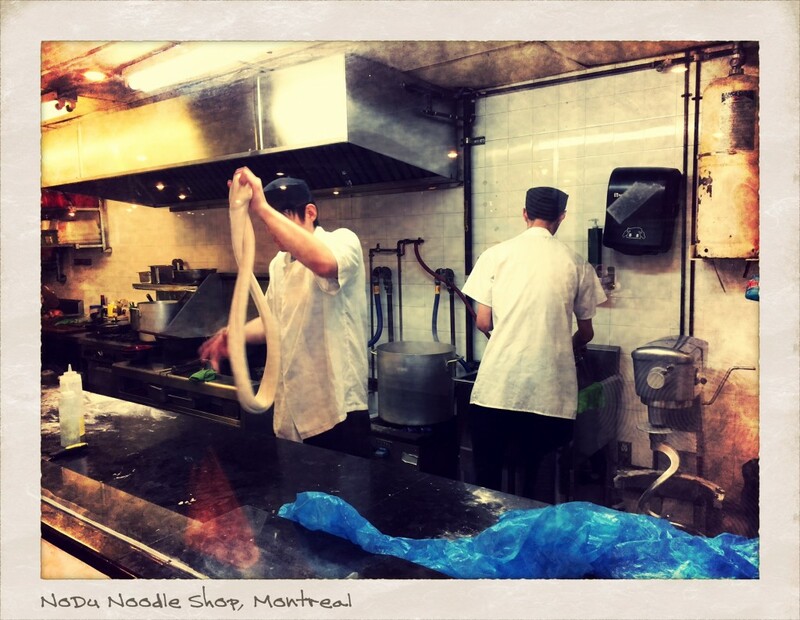 They make their noodles fresh there, right on the spot, and as you slurp, you are intermittently interrupted by the banging and thrashing of the noodles being stretched and slapped like taffy. 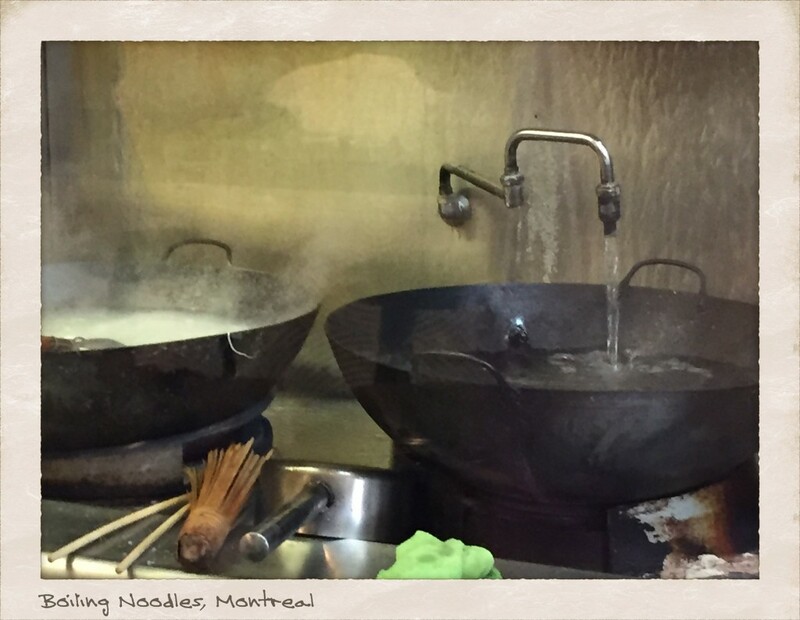 Here below are some of the photos from our weekend in Montreal…leaving me, and maybe you too, with the urge to return soon!